Hello Beauties! When it comes to foundation, I'm pretty picky. 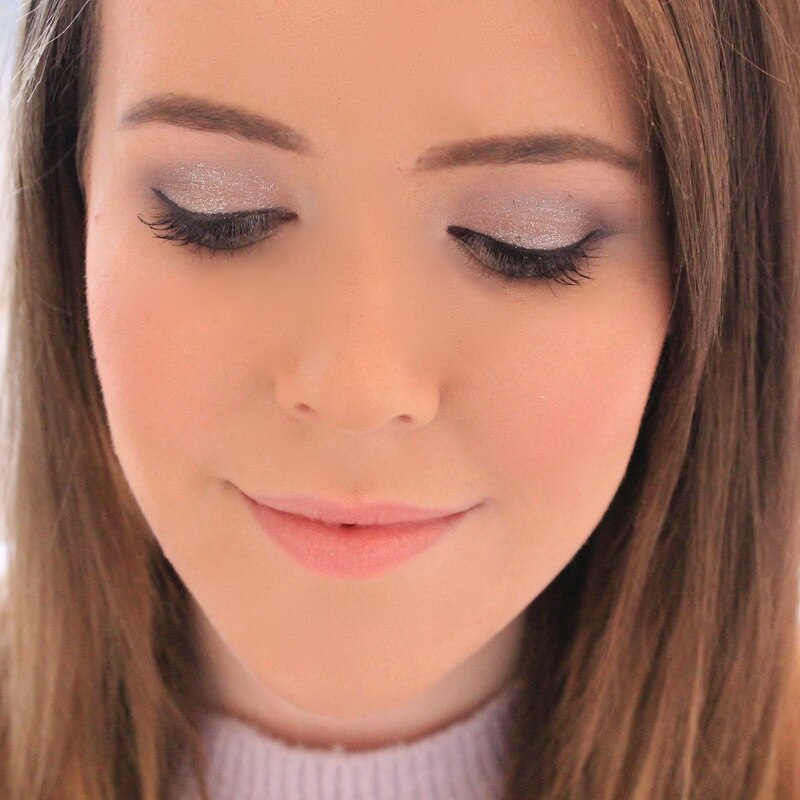 Having difficult skin means I rely heavily on my base products to achieve a flawless look, so I refuse to settle for less than perfect - and really why should we? Makeup isn't what it used to be, the industry has completely revolutionised in recent years and brands are under continuous pressure to release the 'next big thing'...so why is it that so many of them leave us wanting more when it comes to our base? However, after many painful years of testing different foundations (seriously, my foundation graveyard is depressing) I think I've finally found something that's really worthy of 'Holy Grail' status. 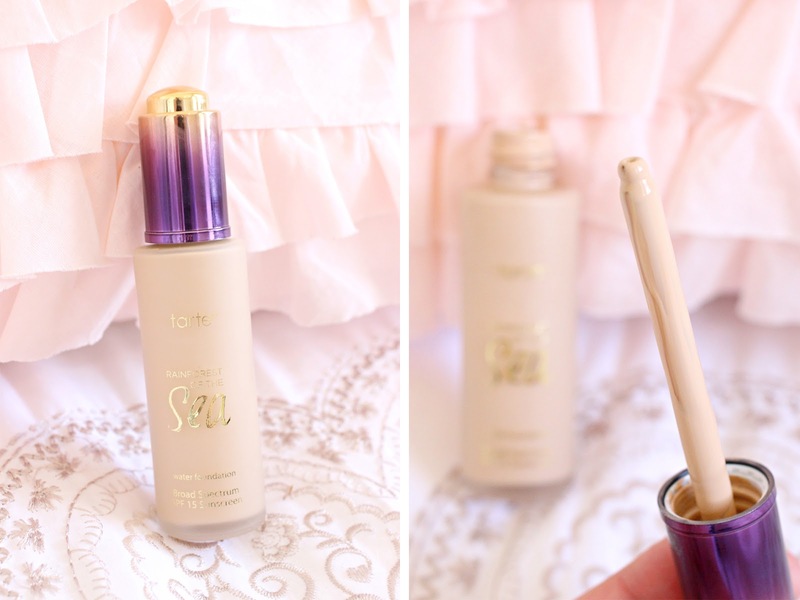 I have a couple of foundations in my 'holy grail' bank - Estée Lauder Double Wear, Charlotte Tilbury Magic Foundation and L'Oreal Infallible Matte, to name a few - but the Rainforest of the Sea Foundation from Tarte really does take things to the next level. Available in 12 shades, tarte's newest foundation is described as a complexion perfection innovation designed to be lightweight and skin-perfecting, floating over your skin to deliver full, hydrating coverage and skin-care benefits with every application. The antioxidant-rich formula is said to help diffuse the appearance of imperfections, leaving skin looking flawless. Like me, you're probably wondering what 'rainforest of the sea' is and why tarte decided this should be the name of their latest collection...The name rainforest of the sea comes from the formula's key ingredient, algae. Algae is known for its various skincare benefits, such as it's anti-inflammatory properties and skin-healing powers, so it's no surprise that my skin's been looking especially healthy since I started using this foundation on a daily basis...in fact, my skin hasn't been this clear in months, if that's not a reason to love this foundation then I don't know what is. As a vegan brand, tarte ensure that their algae is harvested sustainably to protect the eco-system of the ocean. Aside from this foundation being great for your skin, it's also brilliant as a base product...in fact, I'd even go as far as to say this is the best foundation I've tried in years. Let me begin by talking about the packaging, as it's a little unusual in my opinion. The foundation comes in a thin, frosted glass bottle with a metallic purple and gold lid to match the rest of the collection, however instead of having a pump, this foundation has a pipette applicator due to the thin consistency of the product. Honestly, I think the pipette is a little unnecessary and as it slows me down a little in the mornings, I'd much prefer a pump on this foundation...I still apply the foundation to the back of my hand before application so a pump or pipette wouldn't make much difference to the actual application of the foundation - just the ease of use. What I love most about this foundation is definitely the consistency to coverage ratio it offers. I love a full coverage foundation (I have a lot of imperfections to hide) but this often means I'm left with extremely thick, heavy foundations which feel uncomfortable on my skin. However, tarte's latest offering is littlerally like applying water to my skin, yet still offers me the same coverage as Estee Lauder's Double Wear, for example - what is this sorcery?! Applied with a damp beauty blender, the tarte rainforest of the sea foundation covers everything I need it to (without any need for concealer) in one thin layer, which is perfect if you're like me and love the look and coverage makeup offers you, but hate that sticky, heavy feeling it can leave you with. As far as full coverage foundations go, this one also offers you an extremely natural look, whilst still covering everything you need, so you don't look like you've completely masked your skin and caked your face with makeup - never a good look! Along with the consistency and coverage, the finish of this foundation is perfection. Unlike most water-thin foundations, this doesn't apply wet and set to powder (thank god - those foundations always cling to every tiny dry spot). The tarte rainforest of the sea foundation has a demi-matte finish on my oily skin which is exactly what I'm looking for - matte enough to control my shine, but not so matte it flattens your face completely. Essentially, this foundation lets my natural radiance shine through without making me look like a greasy mess. You'd also think that a foundation as hydrating as this would cause oil breakthrough pretty quickly, but this lasts so well on my skin - easily as well as my Double Wear (and I never thought anything would come close). On my oiler days and when the weather is slightly humid I'll need to blot after about 5-6 hours but that's pretty much it as far as touching up my makeup went...my blusher and bronzer was still in tact, it hadn't sunk into my pores and the oil breakthrough hadn't caused any irreversible damage to my makeup. Overall, I am completely in love with this foundation (if you couldn't already tell) and am already considering bulk buying back-ups to last me through the summer. I can't stress enough how perfect this foundation is, and I'd highly recommend ordering yourself a bottle as soon as pay day rolls around - you definitely won't regret it. If you are considering picking up a bottle, I'd really recommend purchasing it from the tarte website here. They now ship to the UK and it works out much cheaper than buying through QVC - and when you're buying a £28 foundation, every penny saved counts! I love the sound of this foundation and the bottle is stunning. I love their BB cream and think this will be great alternative. I've heard so many good reviews on this product, also the packaging is amazing !! WOW. This sounds fantastic! I was wondering how the new items from Tarte were! Definitely going to have to pick this one up. I bought this foundation few weeks ago and I'm definitely developing a love for it, I wasn't sure at first, but I think that's because the first time I used it was with a buffing brush and it looked so patchy, a damp sponge is certainly the way to go. As for the pipette, I could definitely live without it. Thank You For 5000 Followers!